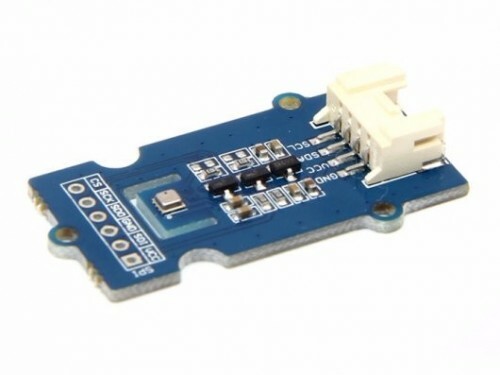 Grove - Barometer Sensor (BME280) is a breakout board for Bosch BMP280 high-precision, low-power combined humidity, pressure, and temperature sensor. 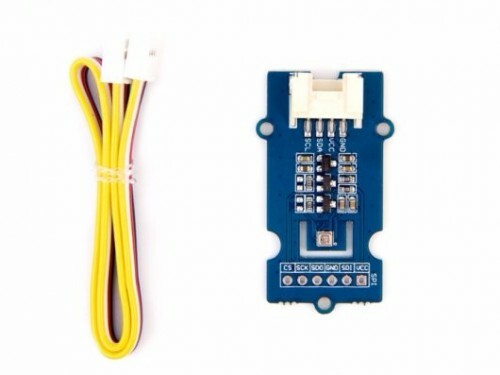 This module can be used to measure temperature, atmospheric pressure and humidity accurately and fast. As the atmospheric pressure changes with altitude, it can also measure approximate altitude of a place. 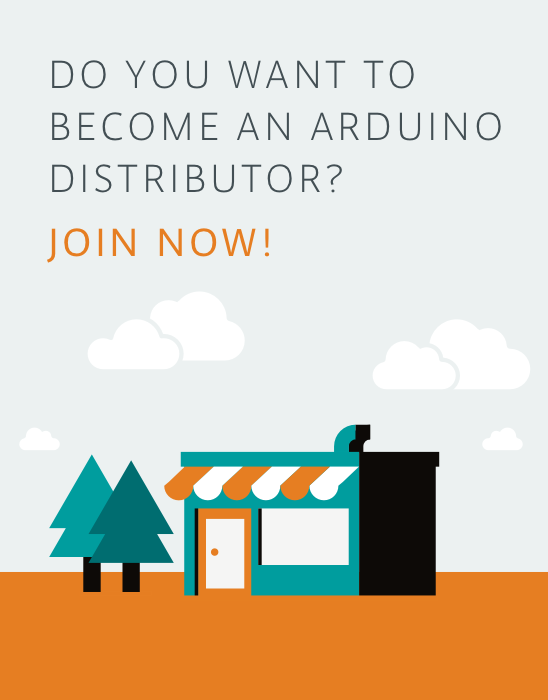 It can be connected to a microcontroller with I2C (integrated with Grove socket) or through the SPI bus. There is also provided highly abstracted library to make the product easier to use. The BME280 is an upgraded version of BMP180, and BME280 gets dramatic improvements from BMP180. BME280 comes with a smaller footprint, lower power consumption, lower noise measurements, higher resolutions for pressure and temperature, lower RMS noise, newly added SPI bus, more measuring modes, higher measuring rate, and newly added filter against environmental interference. Since the atmosphere pressure reading is affected by altitude and temperature, we have added compensation features. 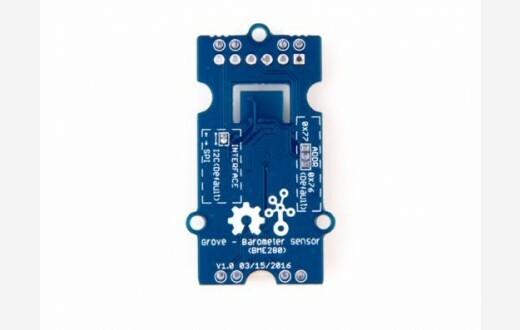 Hence, Grove - Barometer Sensor (BME280) will be more reliable in providing precise temperature, atmospheric pressure values, humidity and approximate altitude data. Get more precise temperature, atmospheric pressure values, humidity and approximate altitude data fast.